Being the foodie capital of Malaysia, Penang resonates with many special signature dishes such as char kway teow, wok fried noodles with prawns; hokkien mee, a prawn noodle dish in a prawn broth; and assam laksa, a tangy and spicy fish broth noodle soup, but to name a few. 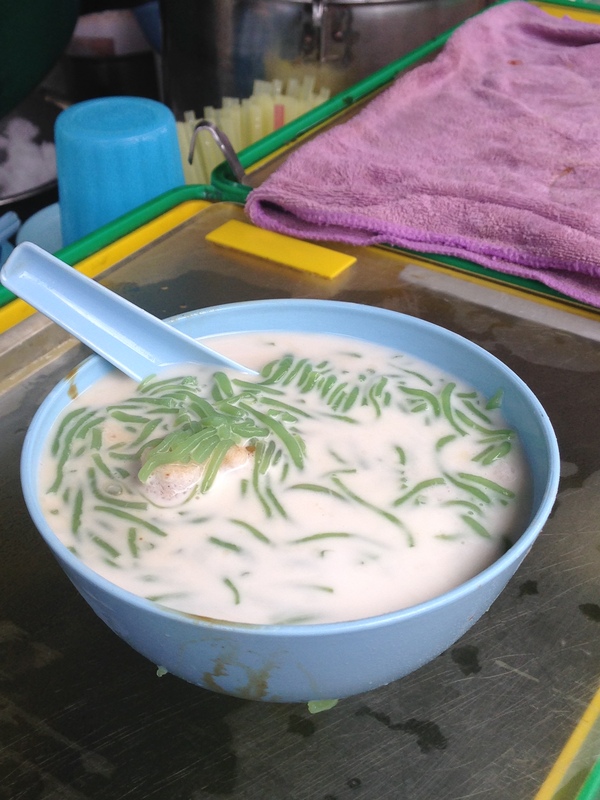 This cendol is legendary in Penang. 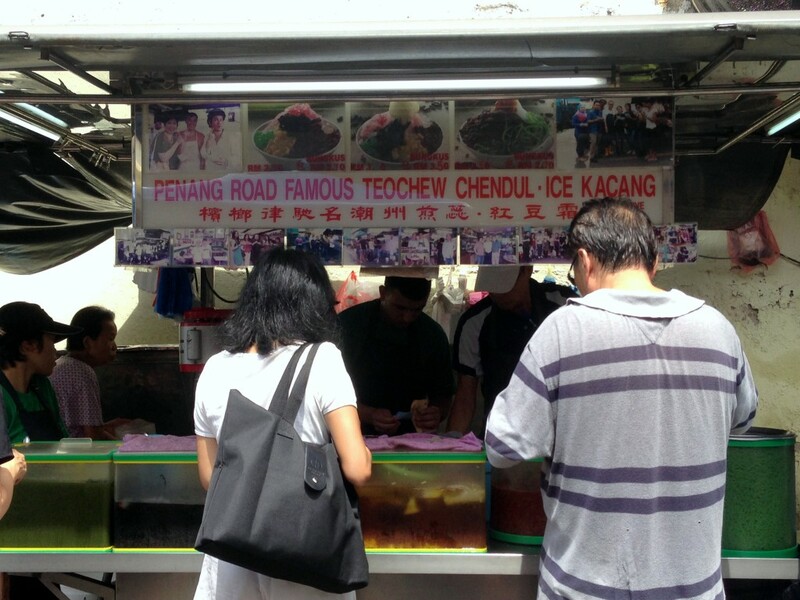 All my research pointed to this being the best in Penang and every local I spoke to also agreed it was the best. Made with coconut milk, pandan jelly noodles, shaved ice, palm sugar and red beans, this was a deliciously refreshing, creamy and not too sweet. It was so delicious I kept going back for more. At MYR2.50 (about £0.42), I also thought it was great value (by Western standards). 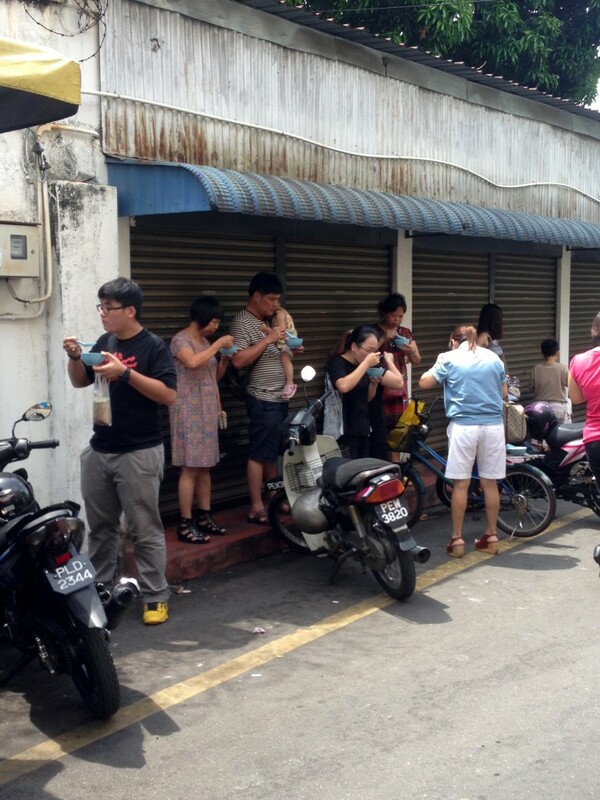 Note that there is another cendol stall across Penang Road Famous Cendol, but just head to the one with the queues. You really can’t miss it. After our stay at The Eastern & Oriental Hotel we ventured up to the beaches at Batu Ferringhi, which is located on the northern coastline of Penang Island and about a half an hour drive from George Town. There, we stayed at The Lone Pine Hotel, the sister hotel to The Eastern & Oriental Hotel. 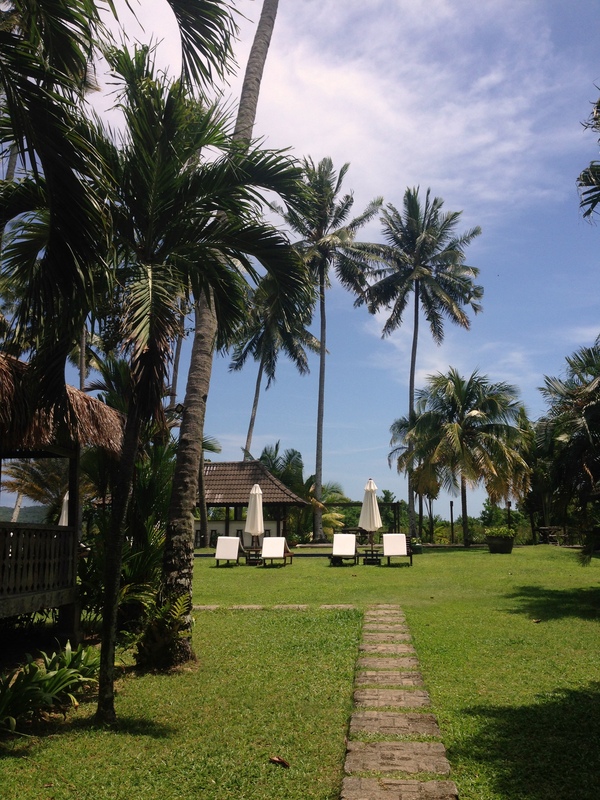 The hotel first opened in 1948 and was the first hotel to be established on the beaches of Batu Ferringhi. Lone Pine is a beach resort boasting of a quintessential seaside character and is very comfortable with a relaxed, laid-back energy. It caters well for those looking for a well-equipped four-star standard beachside hotel versus high-end luxury. The hotel boasts of a full range of contemporary comforts with a swimming pool, a wellness spa, a fully-equipped gymnasium, a business centre as well as meeting rooms. There is also a games room, two restaurants and a bar. There is complimentary wifi throughout the hotel, although this worked better in the lobby and not so well in our room. 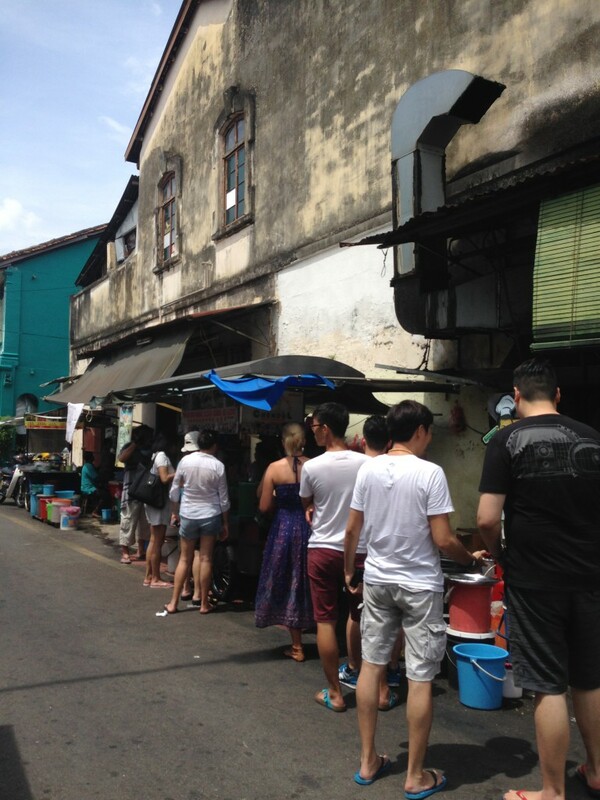 Penang is known as both the foodie capital of Malaysia and as a UNESCO World Heritage Site. So it was with much anticipation that we visited this vibrant island, to both sample its food diversity and relish its many cultural and historical offerings. In Penang we first stayed at the luxurious Eastern & Oriental Hotel. Located in Penang’s old town, George Town, the hotel is minutes away from Penang’s food and shopping strips, the financial district and all of Penang’s main cultural destinations. In its early days when Penang served as an outpost of the East India Company, the island drew in a variety of travellers ranging from merchants to missionaries that made the arduous route from London to Singapore, a journey that generally took about four long months. But it was not until the opening of the Suez Canal in 1869 that travel to Asia took on another dimension, with writers, actors and the rich from Europe and America all making the trip to Asia to see what the oriental world had to offer. 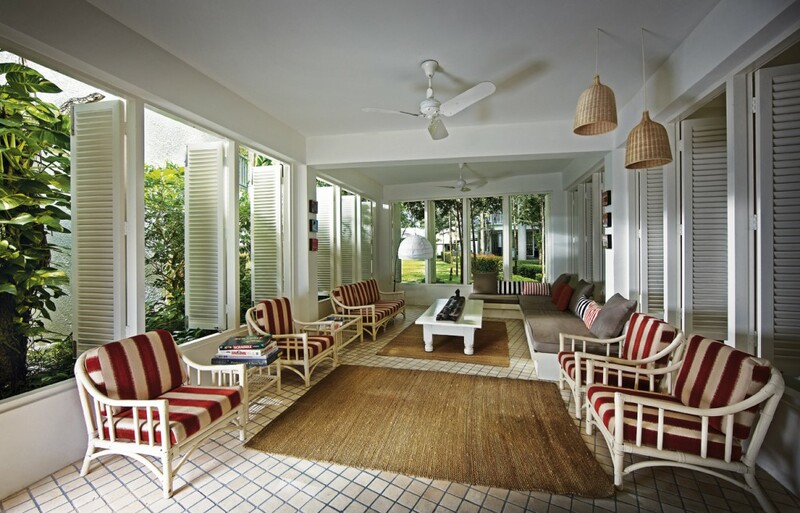 And with this new breed of affluent travellers, the demand for luxury hotels flourished. And so The Eastern & Oriental Hotel was founded in 1885 by the Sarkies Brothers, the same brothers who were also instrumental in the construction of the famous Raffles Hotel in Singapore. The Eastern & Oriental is a tale of two halves. There are two wings to the hotel, first, the traditional Heritage Wing, and the second, the ultra modern Victory Annex. The Heritage Wing evokes a sense of tradition, one that is filled with old, colonial charm. 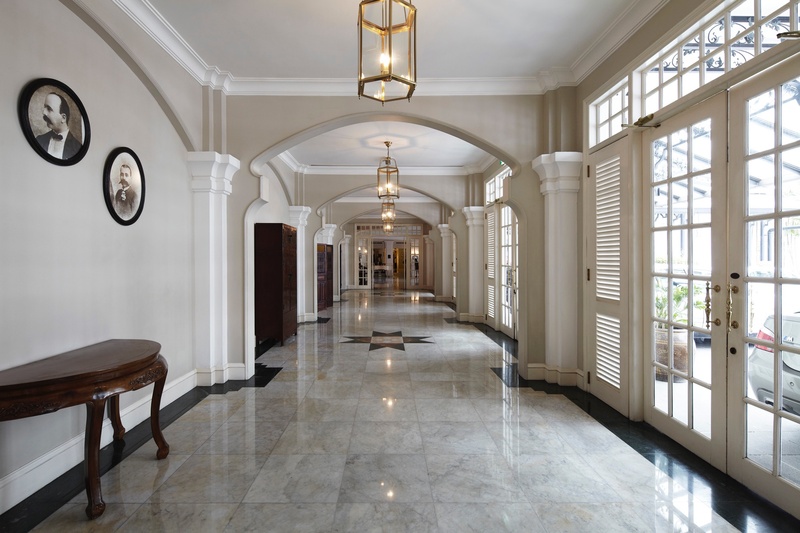 The Heritage Wing maintains many of its original features such as the spacious domed lobby and a grand marbled floor corridor. It’s where many old time traditions have been kept such as the doorman in khaki shorts, knee-high socks and pith-helmets, and the gentlemen at reception with their bow ties and slicked back hair. The Eastern & Oriental Hotel is a popular spot for weddings, and the Heritage Wing truly makes for the perfect backdrop for that all-important wedding photo. The Danna is a luxury 5-star hotel in Langkawi, a grand colonial hotel that is classically beautiful and effortlessly elegant with high ceilings and an impressive presence. Perched on a lovely stretch of beach, it has the marina on one side and lush tropical lands on the other. We went to one of the restaurants at The Danna for dinner, Planter’s, which is recognised as one of the best restaurants on Langkawi. 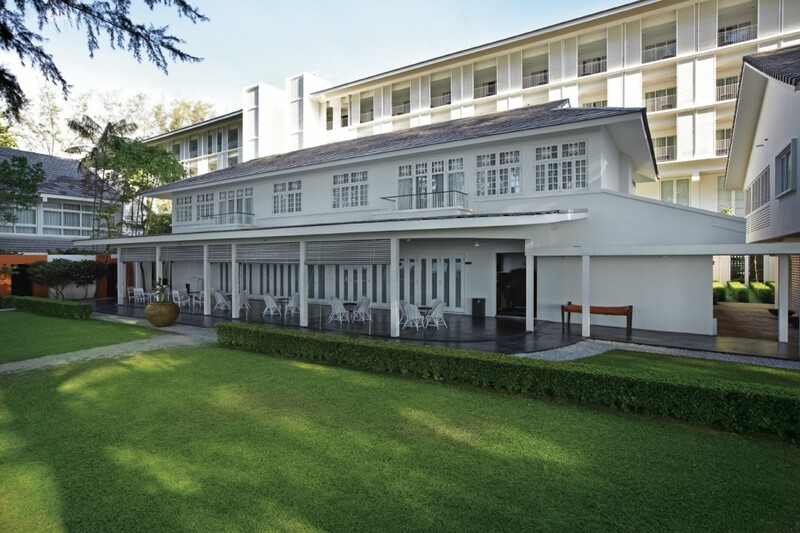 Located towards the rear of the hotel, you get to Planter’s from the impressive hotel lobby by walking along the corridor, past the seductive Verandah Bar. Upon reaching Planter’s, one is presented with an impressive sight, not only because the restaurant is beautifully romantic, but also because it looks out onto the hotel’s infinity pool and beach. The perspective is mesmerising, and particularly lovely if you chose to dine al fresco on the restaurant’s outside porch. The Planter’s menu makes for an interesting read by serving an eclectic collection of Western, Thai, Indian and Malay dishes. It’s a very comprehensive menu and easily caters to a variety of tastes. We visited on a Friday night which is buffet night, although the al la carte was also available. Tempting as the ‘all-you-can-eat’ option was, we elected to order off the a la carte menu, preferring our food to be cooked to order. 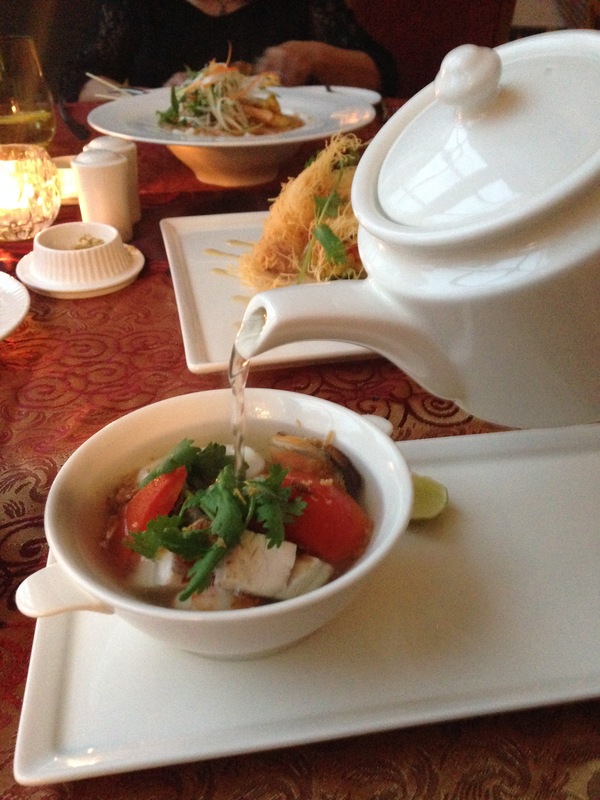 We started with a Thai seafood broth (MYR40 – £6.80) with king prawns, calamari, mussels and fish. This was deliciously light, with the stock having been prepared using kaffir lime, lemongrass, galangal, coriander and a seafood base. The result was a stock that was crystal clear with a distinct and delicate flavour. A classically trained French chef would have been proud had they produced a consommé of such clarity. Each of the seafood elements was also nicely cooked to round off a lovely starter. On our recent trip to the beautiful Malaysian island of Langkawi, we spent two nights at the special and very unique Temple Tree Resort. The resort is unique because it consists of eight antique houses of Chinese, Malay, Indian and Eurasian origin, all ranging from 70 to 110 years old. Narelle, the owner of Temple Tree spent many years scouring Malaysia in search of these buildings, each of which are original. The houses were then dismantled and transported from their location of origin piece-by-piece and rebuilt. Some were derelict, but each house was lovingly restored to its former glory, keeping true to its original layout. Each house was then decorated in a style that reflected the period in which they were once lived in. 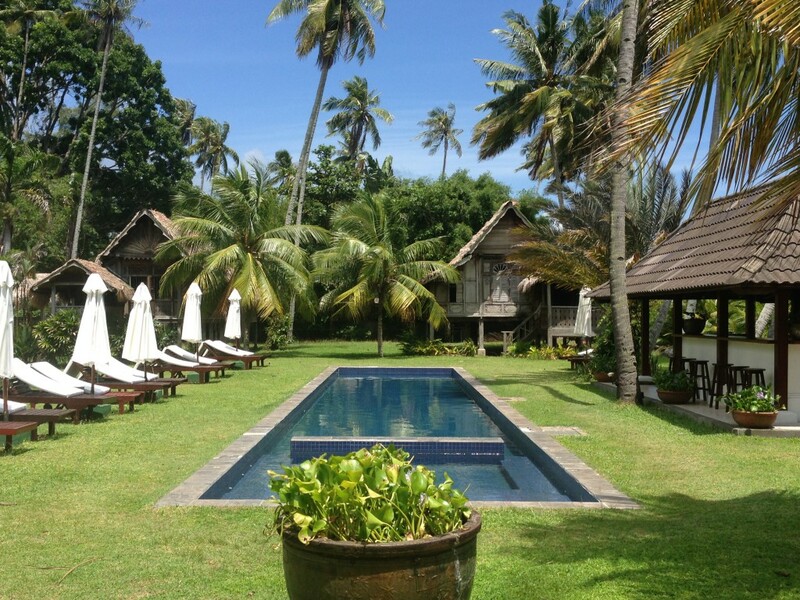 Temple Tree Resort is like an antique treasure trove, with each building having it’s own special story to tell. 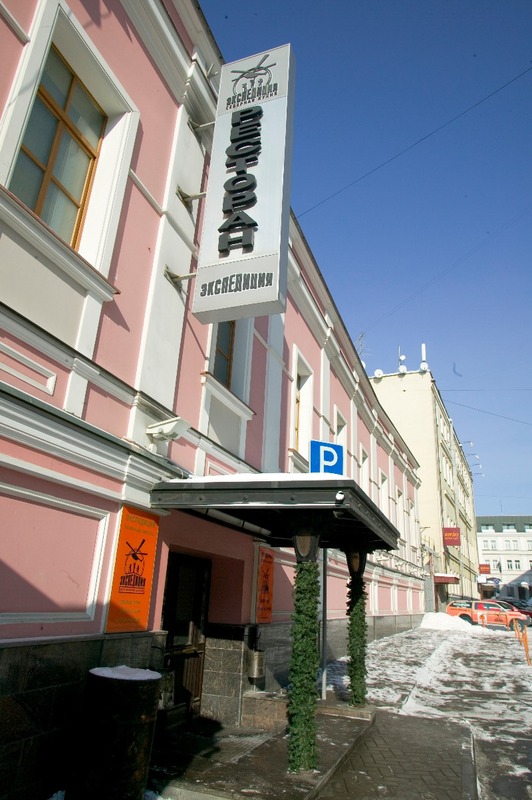 After the W Hotel St Petersburg I moved onto The Grand Hotel Europe St Petersburg where I stayed one night. It’s a grand dame of a hotel if there ever was one and houses the famous Caviar Bar Restaurant. Palatial and luxurious, it’s long been recognised as one of the best hotels in the world with a string of awards to its name. The Grand Hotel Europe is steeped in history and dates back to 1875, and in the 100 plus years of its existence it has hosted a long list of royalty, Heads of State and other A-list celebrities the likes of which have included Queen Elizabeth, Prince Charles, Bill Clinton, Elton John and Sir Paul McCartney. Apart from its superior and deluxe rooms and one bedroom and executive suites, the hotel also boasts 10 special historically themed suites, each of which were designed around famous personalities, places and institutions dear to St Petersburg’s heart. 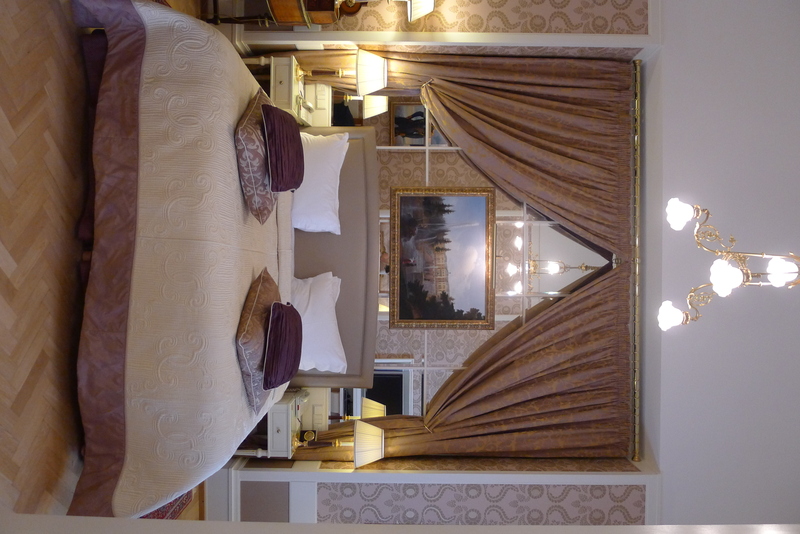 Take the Pavarotti Suite – this was where Pavarotti stayed during his farewell tour and houses the baby grand piano that he practiced on while on tour in St Petersburg. There is also the Faberge Suite, named after the renowned jeweler and features furniture encrusted with precious stones. 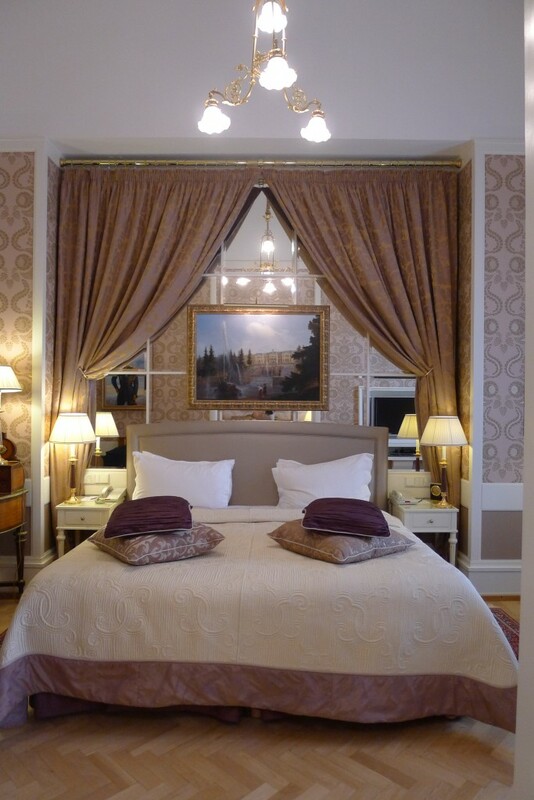 During my stay at the Grand Hotel Europe I was fortunate enough to be upgraded to one of these historical suites, The Romanov Suite, so named as it was dedicated to the last Imperial Russian dynasty. Members of the Romanov family were regular visitors to The Grand Hotel Europe, and the last emperor, Nicholas II, held many diplomatic receptions here. Decedents of the Romanov Family were personally involved in the creation of the suite, and the copies of the private family photos that now hang in the suite were donated for use by the Romanov decedents themselves. 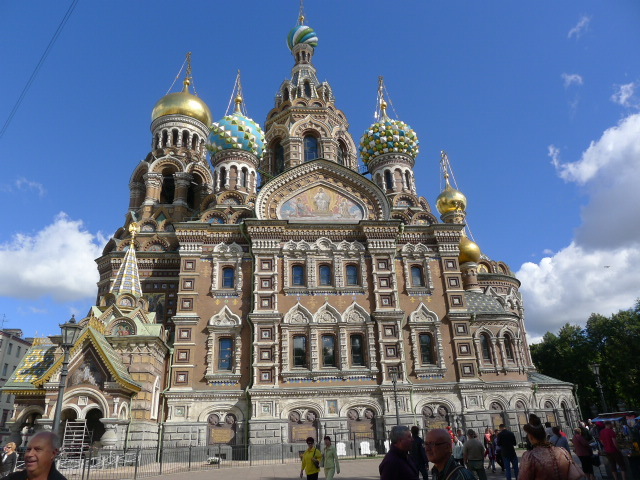 There are not enough superlatives to describe the beauty of St Petersburg. The Neva River runs through the heart of the city, and this and the city’s many canals add to it’s picturesque nature. St Petersburg’s architecture is decidedly European, a legacy from the time of Peter the Great and his love affair of all things European, and this is one of the reasons why The Palace Square overlooking the world-class Hermitage Museum must surely rate as one of the most spectacular squares in the worlds. It might not be as famous as The Red Square in Moscow, but it certainly holds its own in terms of grandeur and wow-factor. 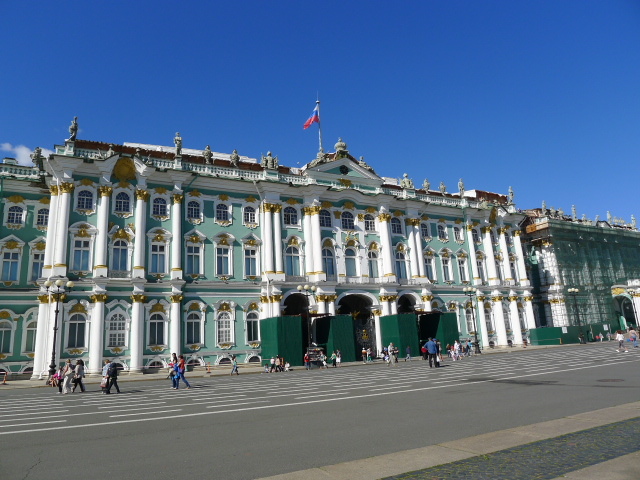 St Petersburg also lays claim to a collection of world-class art with the famous Hermitage being the second largest museum in the world after the Louvre in Paris. 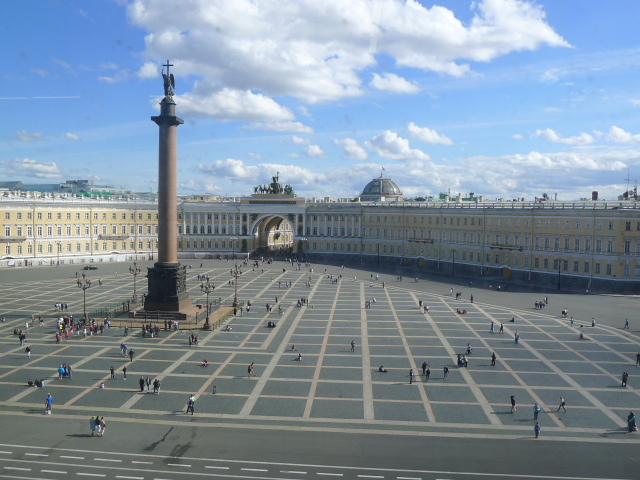 And what is also attractive about St Petersburg is that it is a tourist-friendly city. Contrary to Moscow where I travelled to a few months ago, signs are labelled in both Cyrillic and in the Latin alphabet, and there are tourism offices positioned throughout the city that make the travel experience far easier. 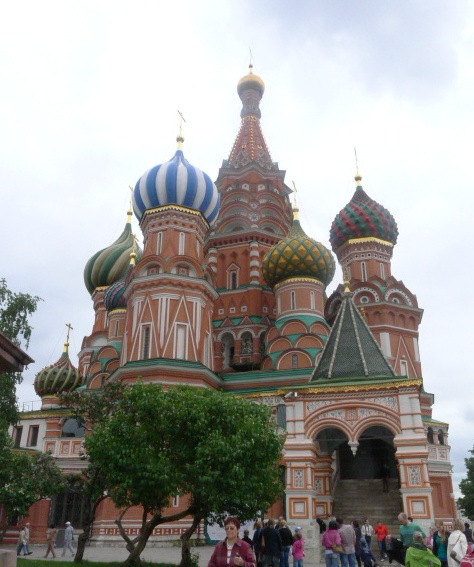 At first glance, Moscow does not come across as the prettiest of cities. And the momentary confusion that grabs you as you first walk into the metro feels a little overwhelming as there are no English signs. But as you learn to navigate yourself and chip away at the language barriers, you soon discover that Moscow is not without its charms. The more you dig, the more you realise that there is more than meets the eye. There is an incredible depth of history behind this grand old city – inside the Kremlin walls is a treasure trove of riches and the fine art offerings in its museums are world class. And St Basil’s Cathedral – well it’s hard to capture the sense of awe that you feel when you first lay eyes on its colourful grandeur. Friends of mine who went to Moscow 20 years ago told me that back in those dark communist times one had to wait about ten hours to get served at McDonald’s. Now the restaurant choices are plentiful and varied, Japanese restaurants are en vogue and some critically acclaimed chefs such as the likes of Pierre Gagnaire have set up shop in Moscow with his restaurant Les Menus at the Lotte Hotel. So I was on a mission to do some eating of my own, and the first restaurant on the agenda was Expedition, a restaurant that is unique for its sense of adventure and its use of native Russian products. Also popular in Russia are cuisines from the ex-Soviet states so Georgian cuisine at Saperavi Café was up next. Finally Restaurant 57 rounded up the list for a spot of Soviet self-service eating which proved to be surprisingly good.